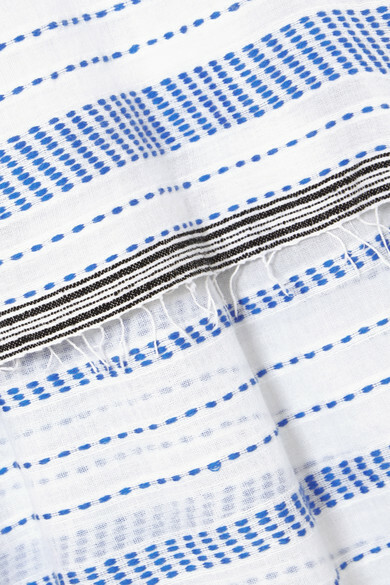 LemLem's artisans regularly feature on the brand's Instagram, and each piece in the collections is named after the skilled craftswoman who has made it. 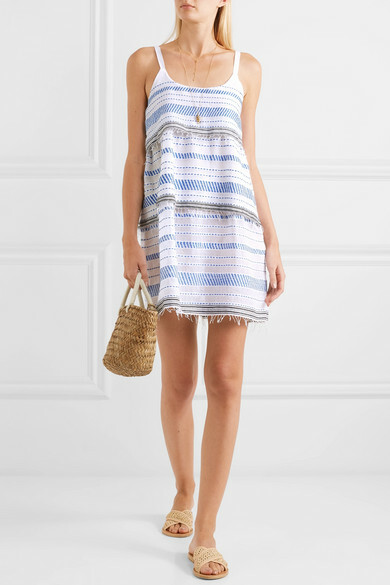 Cut from lightweight white and black cotton-blend gauze, this tiered 'Tiki' mini dress is carefully embroidered with blue yarns and has wispy fringed trims. The only accessories you'll need on balmy days are slides and a basket bag. Shown here with: Kayu Tote, Ancient Greek Sandals Slides, Chan Luu Necklace, Isabel Marant Necklace.